Managing and implementing a marketing strategy is notoriously complex. There are many balls, in all shapes and sizes, in the air at any one time. Often, this means a diverse set of software is needed to ensure nothing gets dropped. 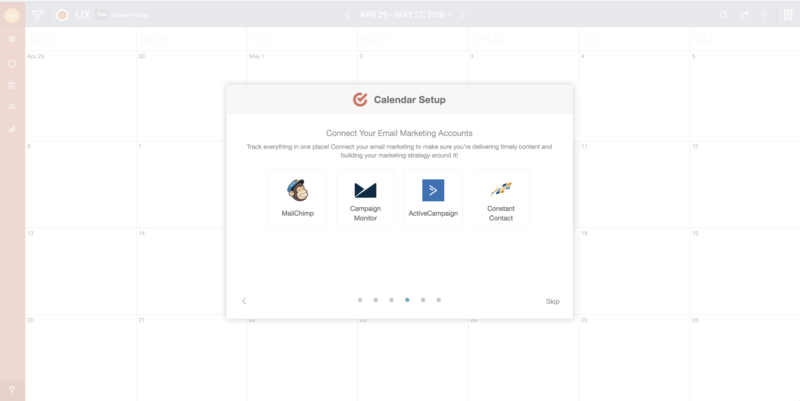 What CoSchedule offers marketers is an all-in-one editorial calendar for planning, promoting, and implementing a complete marketing strategy. There's no need to chop and change tools, which helps marketers plan ahead and save a bunch of time—a most valuable resource. 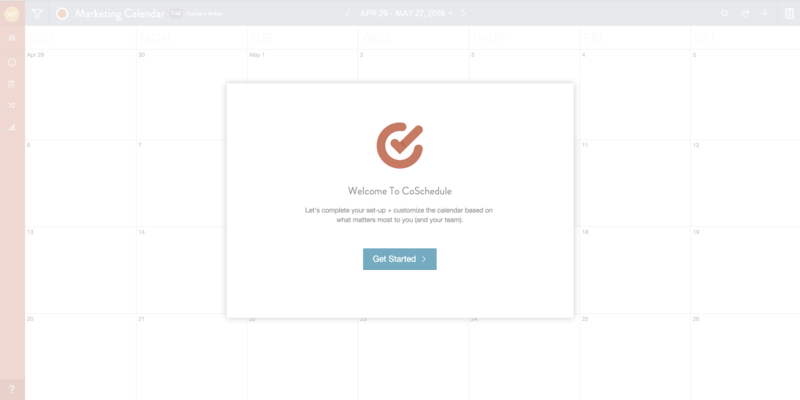 To eke out even more time saved, CoSchedule ramps up its learning curve for new users. The onboarding flow is designed to get its users to “learn by doing” for super-fast knowledge cumulation. To learn something new, you have to learn by doing. Therefore, the quicker you get a user to do it for themselves, the faster they will learn. It is simple but highly effective. 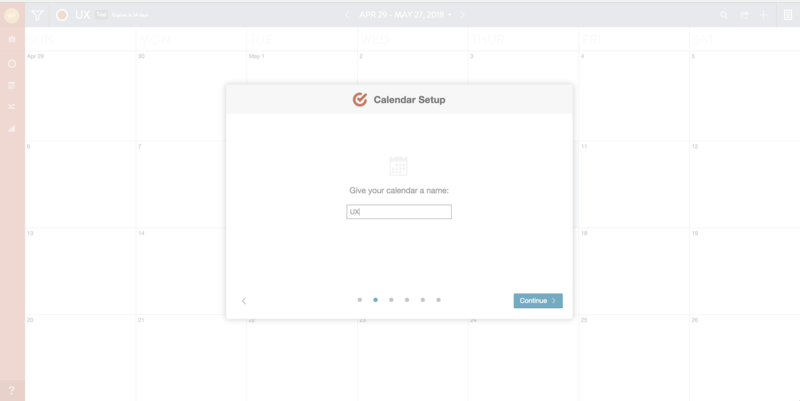 CoSchedule capitalizes on this method by getting users to do a “practice run” by adding a project to their calendar. 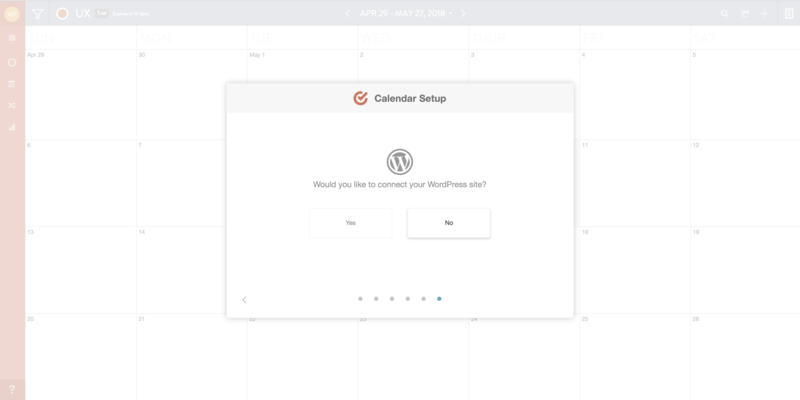 The step-by-step signup flow, otherwise known as progressive disclosure, ensures only one topic and one task is requested at each step. This way a user's cognitive load is never stressed, leaving them feeling productive and in transit. User encouragement is injected into the flow at the optimal moments. 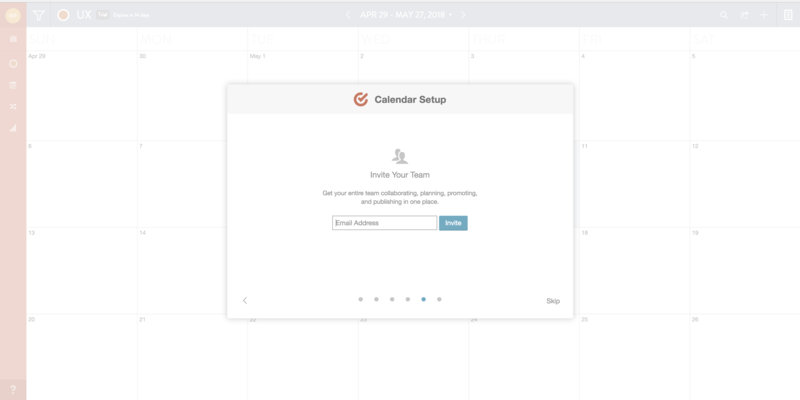 In the beginning, when a user is contemplating whether to proceed, CoSchedule reassures the user it will only take “three minutes or less” to sign up. 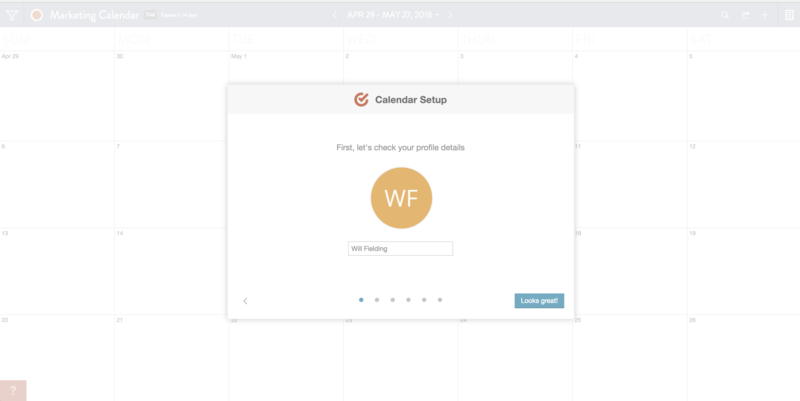 At the midpoint, where abandonment tends to be at its highest, CoSchedule drops in a gif to lighten the mood and take attention away from the time invested.